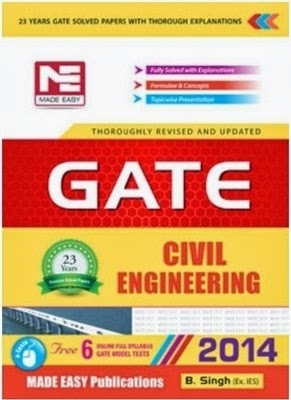 GATE - Graduate Aptitude Test in Engineering is an all India examination administered and conducted jointly by the Indian Institute of Science and seven Indian Institutes of Technology on behalf of the National Coordination Board for admission to Post Graduate Courses in top Engineering Colleges in India. Master's degree holders in any branch of Science/Mathematics/Statistics/Computer Applications or equivalent and those who are in the final or pre-final year of such programmes. Candidates in the second or higher year of the Four-year Integrated Master's degree programme (Post-B.Sc.) in Engineering/Technology or in the third or higher year of Five-year Integrated Master's degree programme and Dual Degree programme in Engineering/Technology. Candidates with qualifications obtained through examinations conducted by professional societies recognized by UPSC/AICTE (e.g. AMIE by IE(I), AMICE(I) by the Institute of Civil Engineers (India)-ICE(I)) as equivalent to B.E./B.Tech. Those who have completed section A or equivalent of such professional courses are also eligible. 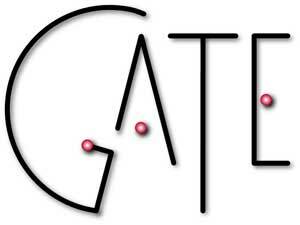 GATE mainly tests the fundamentals. So make sure you make your fundamentals very strong & clear. This only comes with the practice. Try to cover complete syllabus. If not possible expertise in what ever portion of syllabus you practice. Every field of study has its own vocabulary, so identify words and terms used to represent specific concepts. Maintain them in your notes. Group study is one of the best ways of preparation. Divide sections/topics between you and your partner and have a brief session on topic from your friend before you actually start topic. This will save your time and efforts and will improve your and your partner’s understanding on the topic. Last 23 Years Fully Solved Previous Year GATE Papers Questions and Answers by Made Easy Publications . Subject wise arranged. Important notes also given in each subjects. * Relevant seats in branches we cater to. Download our hand books at download page. The organization of GATE is shared between IISc and the 7 IITs. Which means, the last time IIT Delhi organized GATE is in the years 2004 and 1998. Preview our workshops and book now! Follow & get updates on facebook!